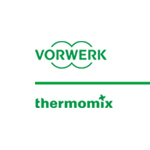 SABES QUE SI TIENES UN Thermomix® 31 PUEDES CONSEGUIR EL NUEVO MODELO TM5 COMPLETAMENTE GRATIS. SI QUIERES TE PUEDO INFORMAR ES SENCILLO SOLAMENTE TE TIENES QUE PONER EN CONTACTO CONMIGO Y TE INFORMO. TAMBIÉN SI TIENES TM21 PUEDES CONSEGUIRLO NO DUDES EN PODERLA CONSEGUIR. CUANDO CONOZCAS TM5 TE VAS A QUEDAR SORPRENDIDO.